God is up to something HUGE…through small efforts of people who are being called to make an impact for the Kingdom. 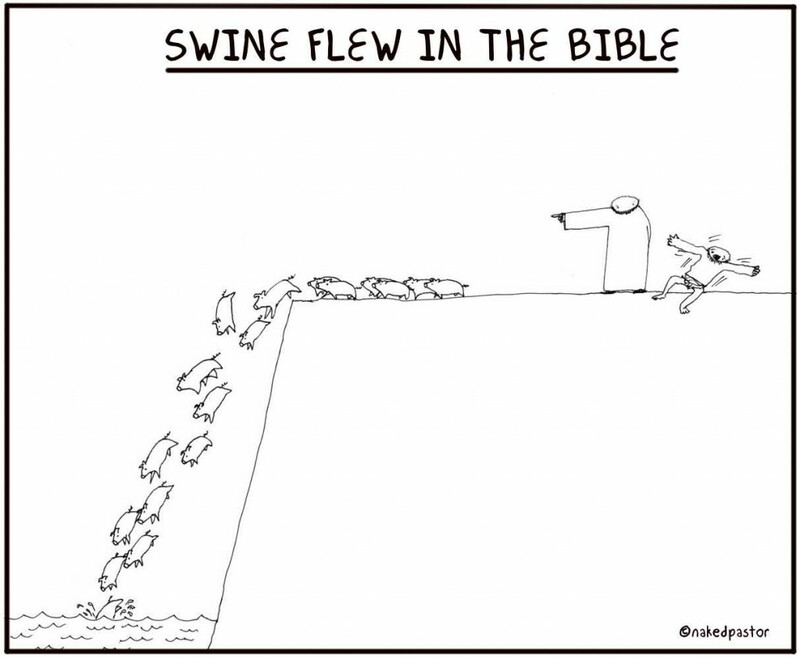 Remember Jesus’ parables? The mustard seed…the Samaritan who brings healing to the broken…even stories like Zacheus illustrate that someone “small” can make a difference in the lives of others and is blessed of God. In the way God looks at life and His Kingdom, there is no such thing as a “no count”…everyone matters. Small steps can be blessed with HUGE results. As I said at the outset, God is up to something HUGE…the "non-institutionally defined" faith communities and individual, missionally-minded followers of Jesus are starting to live out their God given design and identity. These are exciting times because we never will know how God will use all these small but powerful efforts. There is no small impact for those with Kingdom hearts. God will do something HUGE with our passions for Him…every perceived “small” prayer, “short” conversation with a friend about their relationship with God, “tiny” gift given in faith, and “little” step toward the desire for all of us to be a disciple-making faith community has HUGE Kingdom potential. Another Naked Pastor “timely” salvo! I grew up in the 60's and 70's…in fact, I even had a draft number during the Vietnam era. Never got drafted…and, to speak as truthfully as possible, I was one of those who was very "scared" of the concept of war. Now, in hindsight, I wish I would have spent some time in the chaplaincy…for a number of reasons. But lately I've been praying for our men/women in Afghanistan and other places…praying for their protection and for the incredible issues of suffering that they must be enduring. I want to make something perfectly clear…I have mixed feelings about war. 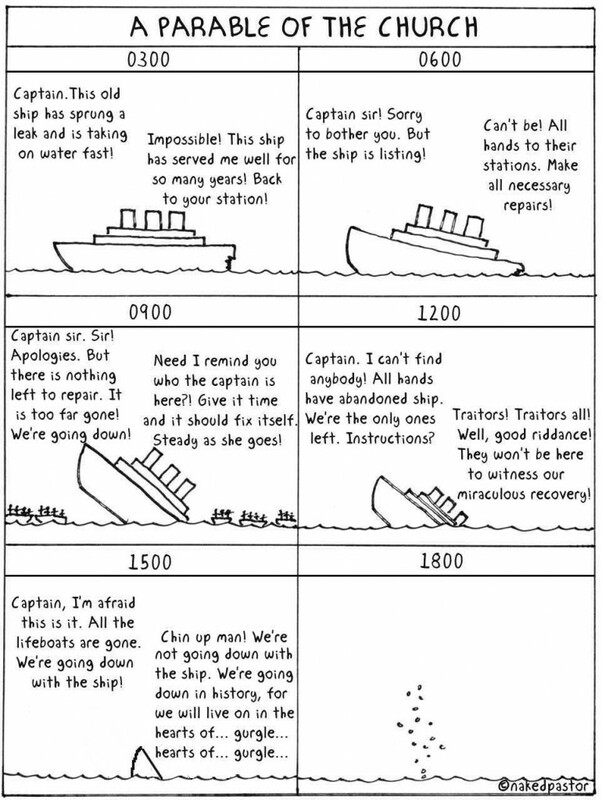 I've lived long enough and read enough history to see it in many respects as a necessary evil. Without belaboring the point, I've been watching what's been going on in Afghanistan for the years the USA has been there…and I have a tendency to agree with those who have said – either get in there and win the battle or get the h*** out of there. To prolong this suffering and "necessary evil" is unjustifiable in my "humble" opinion. I watched firsthand our country play politics with Vietnam much to the destruction of people I cared for…to play politics now as people are dying is ridiculous and amoral. So, that's my quick take…just had to get it off my heart…don't know why..but, hey, that's what blogs are for, right? Really…I'm not trying to be cynical or negative…but history keeps repeating itself…and major movements of the Spirit can never be institutionalized or repeated without serious consequences. 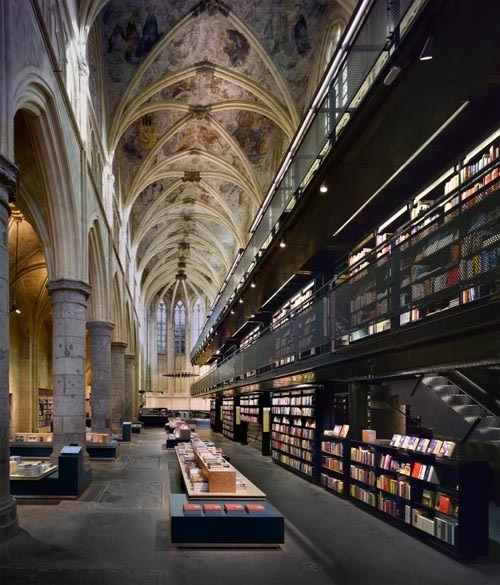 If you think about it…there has never been a sustainable methodology of doing "church"…for example, once filled to the brim with people, the cathedrals of Europe are being turned into "bookstores" and libraries or monuments to an era gone by. Question – is that the future of our "megas" once their rock star leaders and the practices that are based more on contemporary consumerism than faithfulness to the Kingdom go the "way of the dodo" (wasn't that something I heard in an Indiana Jones movie?). Oh my…you decide! Here's a link to check out. "The last sphere of incarnational community is the most fulfilling, the most fun, and the most inspiring and intriguing to the onlooking Sojourners…it's about mission." Action, blessing, giving and sending…all I can say is that I wish I would have been as passionate in the past about this type of praxis years ago when I began ministry…I was taught that ministry was about taking care of the "sheep"…feeding, combing, loving". Now, there's nothing wrong with that…that's the pastoral office, if you will…that's what God's people are supposed to do. But I found myself like every other follower of Jesus spending SO much time within the "house of God" that I never owned my identity as a person who is sent to bless, act, and give as Jesus has given to me to others. Mission is what it means to be a follower of Jesus…we are not purely given our reason to exist by going to some place and given our identity as one who resides in the relative safety of the holy confines. There is reason to gather…we talked about that chapter yesterday…but the reason we are walking within the grace and mercy of God is not so that we can sponge off the bounty of our Lord but so that we can live in Him, with Him and for Him as the Kingdom is made real in our time through our lives. As we finish this three week journey, all I can do is plead with you…have your imagination reshaped by a lifestyle of living the mission of God in and through your life. Pick up the book yourself…or check out numerous others that remind us of the forgotten ways of Jesus. Start to look at WHO YOU ARE not from the perspective of how much you can consume of God's Kingdom but how much you can GIVE of God's love and how much you can LIVE OUT the reality of God's Kingdom, embracing it in every and all relationships. I so desire to see a new community of faith…a gathering of followers of Christ who know what it means to live out the call of Jesus and see others through the eyes of a Lord and Savior who wants the "them" to no longer be "them" but us. Gatherings have their purpose…but they need to focus on mission…mission creates the meaning and context for the gathering…then the gathering becomes more about connecting people, storytelling, vision casting and celebration instead of trying to "do" what people should be doing in a normal flow of life on a daily basis…that being, worshiping God, praying, giving, etc. Finally, within their context, Matt and Hugh promote a kind of spiritual “retreat” experience through a series of communal gatherings called, “soulace”. Each soulace is for the purpose of calling people to find commonality and communion with each other through shared disciplines in scripture reading, silence, prayer and reflection. Tomorrow we'll finish up the journey…it has been going on for three weeks. So, more to come! Friends, food and life…those are the three words that essentially summarize this chapter in our journey through The Tangible Kingdom. As Matt and Hugh come to the end of their book, they will intentionally seek to make perfectly clear and practically applicable several aspects of incarnational living. Friends – here’s the argument for the “building” of third places/spaces…a place where “everybody knows your name”…a place people can relax and be in comfortable relationships on a regular basis. Essentially here’s the big idea – instead of having your life focused around the church building, why not make a step and focus your relational life where people are who need a “taste” of the Kingdom? Seems easy enough, doesn’t’ it? Life – the key here is spontaneity and listening to the promptings of the Spirit. Think about how many times that “still, small voice” whispers in your ear or speaks to your heart saying, “talk to that person…say “hi”…pray for them”, etc. Think about how many times you and me simply shut those promptings down because we have other stuff to do. Look for unplanned moments…moments that open up in the strangest of places and times. As the authors say, “most of Jesus’ teaching was done along the way or as they were going”…maybe that’s a divine “hint”. Only two more chapters…you’ve been around this long…finish it up with me, OK? Integrated with the oneness of our common persuit of God and with the mission that God gives us to brand our identity as His people, it is Matt and Hugh’s premise that the Tangible Kingdom is lived in the midst of these three realities. The helpful and prophetic aspect of this chapter lies not in its definition of what incarnational community is but rather what it is not…and more than that, the specificities of the barriers to community that are presented by the cultural realities of individualism, consumerism, materialism. Each of these issues are briefly examined…examinations that for many of us are not new but succinctly stated in the book to be able to illustrate a very important point – although followers of Jesus say that we are living in and for another Kingdom, we all know that the demands of the culture dictate what really happens in our lives. These deadly barriers must be confronted if we have any hope of becoming the incarnational communities God calls us to experience and to be. Individualism will always cut to the core of oneness in community…consumerism will undermine our passion for mission and drain important resources away from the call of Jesus and finally materialism (that desire to have more stuff) detracts our attention and focus away from what is really important to God – people.